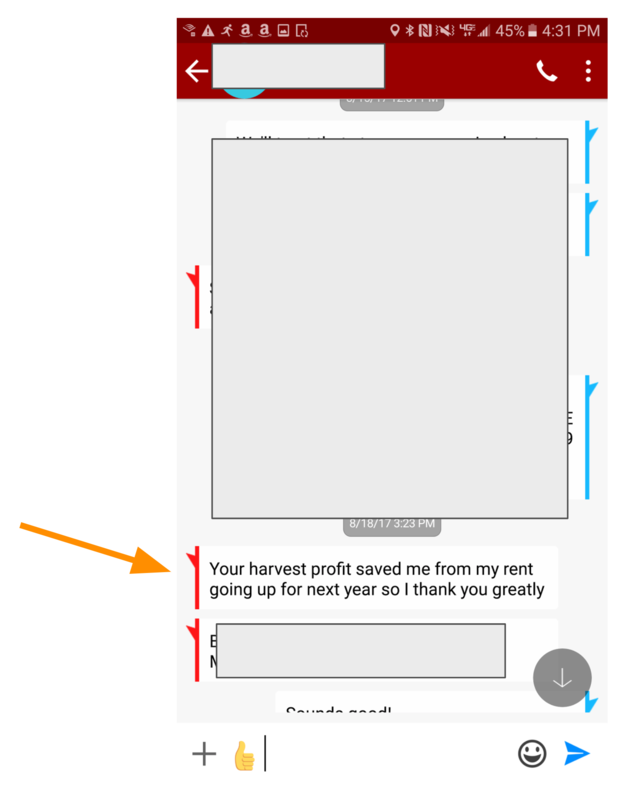 "Harvest Profit saved me from my rent going up next year..."
One of the key goals of our farm management software is to allow our users to have objective conversations with their business partners. As you know, landlords are one of the most important business partners for today’s farmer. Check out the text below I received from one of our software customers last fall. He’s a younger producer in an area with a marginal crop last year. Our software makes it easy to show your forward-looking farm profitability on a field-by-field AND a landlord-by-landlord basis. Managing landlord and banking relationships is a key benefit of our software. This is one of the most important jobs for today’s professional farmer. Our software won’t magically make your rent go down 20% but it will give you the ammo you need to have objective, non-emotional discussions on the topic. If you’d like to try out a free, full-access trial click here. We love helping our producers like you (or your clients/customers) grow and protect their bottom line.